I'm trying to decide what type of printer to buy. I've read a number of posts on the web where people claim that laser printers are more durable than ink-jet printers. Some people say this is because inkjet printers are targeted at consumers who are mostly looking for low prices so inkjet build-quality is kept low (and manufacturers make most of their money selling ink cartridges anyway). Assuming this is true, I guess a laser printer would result in less electronic waste as you don't have to repair or replace the printer as often. 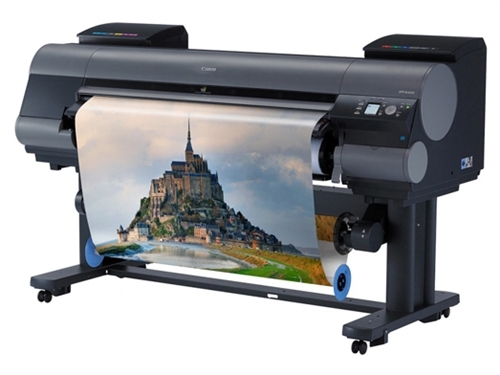 But how do the environmental impact of ink cartridges versus toners compare? Are there any scientific studies that compared the entire life cycle (production, use and disposal) of both toner and ink cartridges? Unless you're into printing color photos, the laser printer is the way to go. The retail prices of toner cartridges may seem a bit steep, but there are ways to refill them. The toner lasts a long long time (a few thousand printed pages if you know what you're doing) and does not dry up, ever. Laser printers are efficient, very fast, and hardly ever break down (again: if you know what you're doing). They literally last for years. Decades if you're stubborn. You can easily get yourself something very durable for under $300. Word to the wise: color printing is expensive either way. Stick with black and white. If you want color, do your printing at Staples. Anything under $2000 that uses ink is a joke. Really. Cartridges dry up very quickly, or stop working after two dozen pages (a phenomenon known as planned obsolescence). They're notoriously slow, prone to jamming and other types of malfunction. Each little ink cartridge is made of plastic. There's plenty of chemical nonsense in the ink itself as well. 150 pages per cartridge is the best you can hope for (beyond realistic) with ink. As opposed to, roughly, 3000 pages, with toner. That's twenty individual cartridges vs one. Environmental winner: laser printing. Because laser printers work a lot faster (by orders of magnitude), less electricity is wasted, and fewer chemicals discharged into the atmosphere. Environmental winner: laser printing. Because laser printers work for years whilst ink printers periodically break down and need to be replaced, the carbon footprint of laser printer manufacturing is a lot smaller. Environmental winner: laser printing. In my field of work, I have to use the printer a lot - sometimes. I've tried them all. I'm not trying to insult anyone. Well. Suffice it to say that if your goal is to print ten or twenty pages once a year, a cheap ink printer ($70) will suffice. Buy it. Buy a couple of cartridges (only so-called starter cartridges come with the printer that last two or three pages). That's another $40 or $50, sometimes more, depending on how sophisticated your printer pretends to be. Only use good paper designed for inkjets. Another $15 for a batch of 500 sheets, of which, as I may have mentioned earlier, you will use ten or twenty. You'll get your twenty colorfully printed pages and be done with it for a while. Then, ten or twelve or fourteen months later, when suddenly you get this urge to print another twenty colorful pages, and try to use your printer, you'll find that the cartridges are dry. You'll replace them with new ones and realize that they have to be aligned. You'll spend an hour trying to align them, printing one test page after another. When you're finally satisfied with the results, you'll try to print your pages. You'll realize that the colors and some contours are definitely off. You'll try to align the cartridges again. Eventually you'll drain them. You'll then want to call tech support and get lots of useless info. Eventually you'll give up, buy a new printer ($70) and new cartridges ($50), print your twenty pages, and get some satisfaction out of the process. You'll have to repeat the entire process every year. That's a hell of a lot of materials bought and discarded, year after year. Think of the environmental impact. In the meantime, your laser printer can just sit quietly under your desk, ready to serve you whenever you need it. No alignment of anything, no need to get reacquainted every time you use it. Works like a charm, and only does what you ask of it, never more, never less. One other factor is that sometimes when the ink dries in the printer, it clogs the heads and ink tubes, making the printer unusable. Even if you can purchase new heads, they often cost more than an entire printer. Ironically, if you minimize printing to be more "green", you're at more risk of this happening. I bought a cheap laser printer 6 years ago, and just last year replaced the 250 page starter cartridge that came with it. At this rate, I have another 10 years to go before I run out of toner in the 500 page replacement cartridge. Not the answer you're looking for? Browse other questions tagged environmental-impact life-cycle-analysis green-it or ask your own question.